It’s taken an Eternity, but the book is up and ready for download on Kindle and should be available for other formats this week. *It’s now on Smashwords at at http://www.smashwords.com/books/view/257154 . Nook and Kobo will be ready shortly. When Zach Tully leaves Los Angeles to take over as sheriff of Eternity, a tiny mountain town in northern California, he’s expecting to find peace and quiet in his own private Mayberry. But he’s in for a surprise. Curmudgeonly Mayor Abbott is a ringer for long-missing writer Ambrose Bierce. There are two Elvises in town, a shirtless Jim Morrison, and a woman who has more than a passing resemblance to Amelia Earhardt. And that’s only the beginning. Eternity is the sort of charming spot tourists flock to every summer and leave every fall when the heavy snows render it an isolated ghost town. Tourists and New Agers all talk about the strange energy coming from Eternity’s greatest attraction: a mountain called Icehouse, replete with legends of Bigfoot, UFOs, Ascended Masters, and more. But the locals talk about something else. The seemingly quiet town is plagued by strange deaths, grisly murders, and unspeakable mutilations, all the work of a serial killer the locals insist is Jack the Ripper. And they want Zach Tully to stop him. 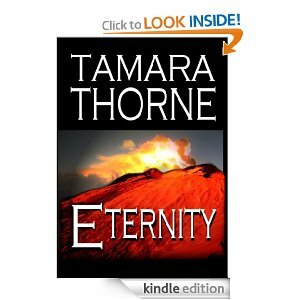 Eternity for Kindle will be up and ready for downloading. Other formats aren’t far behind! If you have a Kobo, you can grab Bad Things, The Forgotten, Candle Bay and Moonfall at this link:http://www.kobobooks.com/search/search.html?q=Tamara+Thorne Eternity will be available in the next few days, and Haunted, by mid-December. 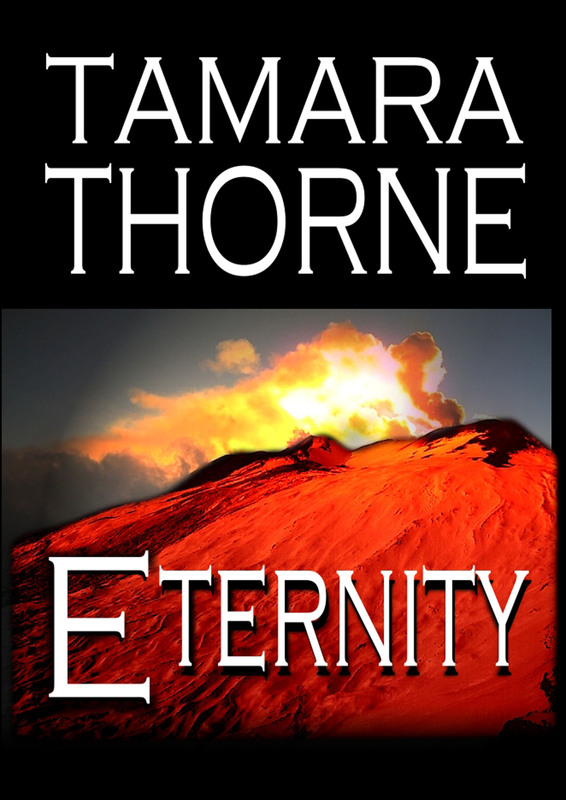 This week, Eternity will be coming to an e-reader near you. If you enjoy murder mysteries with a spooky twist and have a thing for Jack the Ripper, this is the book for you! (It will be back in paperback next September, if you’re old school!